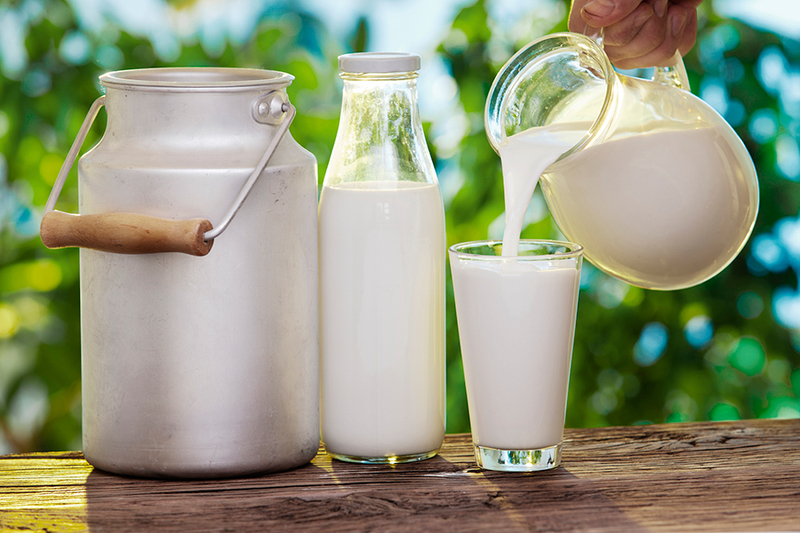 Pennsylvania – Health officials have found Listeria monocytogenes in raw milk produced by Miller’s Organic Farm. Other raw dairy products made by the company could still be on the market and put people at risk of developing listeriosis, a serious infection that can mostly affect elderly adults, pregnant women and newborns. According to the Centers for Disease Control and Prevention (CDC), two elderly adults, one from California and another from Florida, were hospitalized due to Listeriosis in 2014. Unfortunately, one of them died as a consequence of the disease, that usually causes fever, muscle aches, headache, stiff neck and convulsions. After almost one year of investigations, health officials found in November 2015 that samples of raw chocolate milk from Miller’s Organic Farm were contaminated with Listeria. The U.S. Food and Drug Administration (FDA) have isolated the bacteria from the product and determined in January 2016 that it was genetically identical to the bacteria that had affected the two elderly adults in 2014. According to family reports mentioned by the FDA in a press release, both ill people had drunk raw milk before they got sick. Health authorities have explained that raw milk and raw dairy products can pose severe health risks, including death, especially for children, pregnant women, elderly adults and people with weakened immune systems. “Because Listeria was recently found in raw milk produced by Miller’s Organic Farm, we are concerned that contaminated raw milk and other raw dairy products from this company could still be on the market and make people sick,” the CDC said in a statement published on Friday. The CDC, alongside the FDA, are carrying out investigations to identify the specific origin of the outbreak, and prevent more people from becoming ill. New updates will be provided in the coming days. However, people at risk of Listeriosis should avoid raw milk and other raw dairy products produced by Miller’s Organic Farm. Raw milk is milk from cows, goats, sheep, or other animals that have not been pasteurized. Registers seem to suggest less than 1 percent of milk sold to customers in the country has not been pasteurized, according to the CDC. “From 1998 through 2011, 148 outbreaks due to consumption of raw milk or raw milk products were reported to CDC. These resulted in 2,384 illnesses, 284 hospitalizations, and 2 deaths,” the CDC said in a public report. Amos Miller, the owner of Miller’s Organic Farm said on Friday to CBC News that the company only supplies raw milk products through a private membership club, and it does not sell products to retail stores. Miller’s Organic Farm is currently selling raw milk and “is not aware of any health problems” but workers “pray for the best,” said Mr. Miller, as reported by Paula Cohen from CBC News. On the other hand, the CDC recommends that people should drink pasteurized milk since it is free of disease-causing bacteria, and it has several health benefits that cannot be found in raw milk.